April Fools’ Day is an insufferable nightmare. You should just spend the day hiding under your bed covers. There is a silver lining, though. ThinkGeek puts so much effort into its prank creations that they usually end up becoming real products before the year is out. Here’s the best of this year’s bunch, which, for the most part, have a very solid chance of ending up on your Christmas wish list come December. But keep those credit cards in your wallet, because for now they’re all nothing more than just a cruel tease. It’s heartbreaking to watch when one of Musk’s SpaceX rockets misses its vertical landing, but a great opportunity to teach a little science at home. This simple kit lets you turn a few bottles of Diet Coke, and a tube of Mentos, into your own vertical landing rocket. Kids will learn about rocketry and chemical reactions, but parents won’t be out millions of dollars if there’s a crash. Likelihood of becoming real: Medium, if Musk has a hard time landing a rocket vertically, what chance do the rest of us have? Can’t sleep? The soft whir of the warp engine on a star ship will almost certainly help you drift off. This white noise generator can recreate the sounds from five different Star Trek ships, and it even projects a moving star field on your ceiling for when counting sheep—or tribbles—just isn’t appealing. 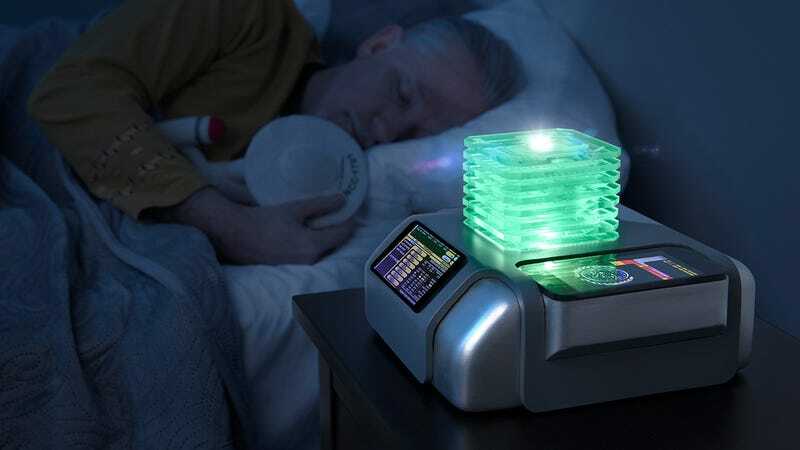 Likelihood of becoming real: High, who doesn’t love Star Trek and sleeping? 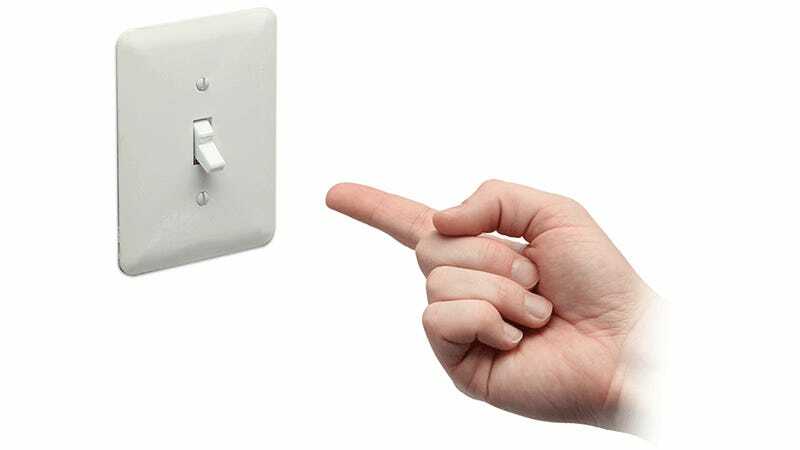 If you’re a homeowner paying bills every month, you’re probably used to shutting the lights off in every room as often as possible to save money. But with a light switch that immediately turns itself off, your power bill at the end of the month will be a pleasant surprise. Likelihood of becoming real: Medium, completely impractical for every day use, but what a wonderful prank this would make. Decidedly less difficult than a dungeon crawler, this role-playing game has characters going on an imaginary pub crawl instead. The drinks are real, though, so it’s probably a good thing there isn’t any complicated math or number-crunching going on. By the time the winner is declared, players might not be able to stand on their own. Likelihood of becoming real: High, because the only thing missing from games like Settlers of Catan is booze. It’s already available to play on-the-go through countless mobile apps, but half the fun of a game like Magic: The Gathering is collecting all of those wonderful cards. You’ll need to squint a little to read all the details on this set, but being stuck at an airport would be far less tedious with a deck of these hidden in your wallet. Likelihood of becoming real: Medium, making this a reality is really just a Photoshop shrinking away. There’s no better way to get back at loud or annoying neighbors than with tacky lawn decorations that bring down nearby property values. But since that 20-foot inflatable Santa in the garage is only appropriate for Christmas, a 25-foot tall Attack on Titan character is an even better choice because you can leave it up all year long. Likelihood of becoming real: Low, but we’re going to keep our fingers crossed.